Ride high on style with American Indigo Set of 2 Fleece Jackets for men, a perfect addition to your existing wardrobe. 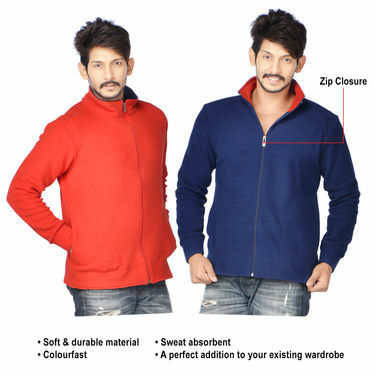 Made from fleece material, it is skin-friendly and comfortable to be worn all day long. 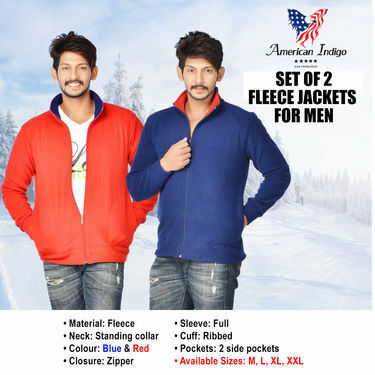 Moreover, long sleeves, a full zip closure, side pockets and standing collar gives it a modern look with the warmth of a traditional jacket. The regular fit looks good on people of all sizes & body types. 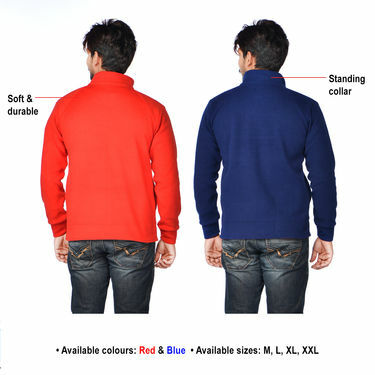 Available in two elegant blue & red colours, it goes perfect with any T-shirt or denim to make a lasting impression. Soft and Durable Material, comfortable to wear. 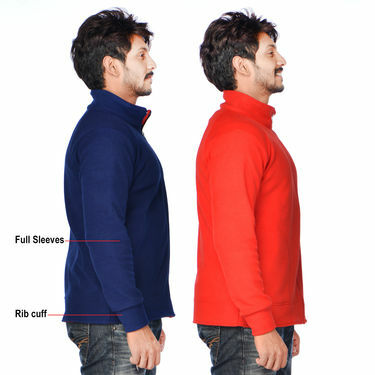 which colors are available for this product?? I want to know the available color for this product.. If I don't like this product, can I return it? What is the return policy for the same? American Indigo Set of 2 Fleece J..VSAmerican Indigo Reversible Jacket.. American Indigo Set of 2 Fleece J.. VS American Indigo Reversible Jacket..
American Indigo Set of 2 Fleece J..VSPick Any One Leatherite Jacket fo.. American Indigo Set of 2 Fleece J.. VS Pick Any One Leatherite Jacket fo..
American Indigo Set of 2 Fleece J..VSAmerican Indigo Double Sided Prem.. American Indigo Set of 2 Fleece J.. VS American Indigo Double Sided Prem..